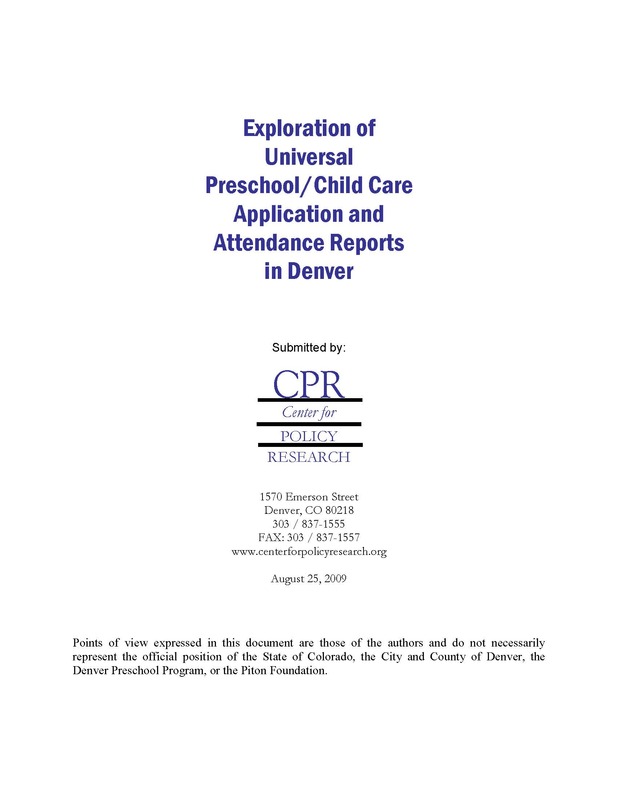 This report explores the feasibility of developing a practical universal application form for the four programs providing financial assistance for early education of preschool-age children in Denver. The programs are Child Care Assistance Program (CCAP), Colorado Preschool Program (CPP), Denver Preschool Program (DPP), and Head Start. The report also explores the feasibility of developing a universal monthly attendance report for Denver early education providers.